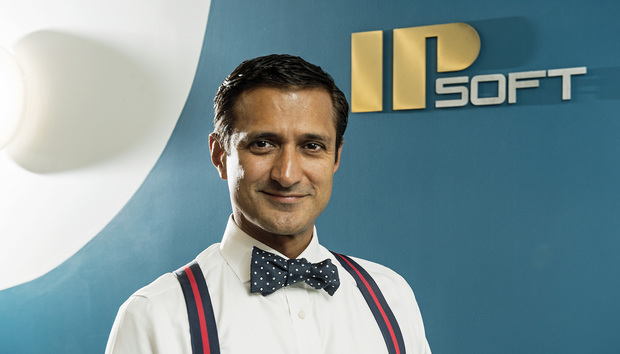 “AI is going mainstream,” says Chetan Dube, CEO of IPsoft over the phone from New York “and the risk of non-adoption are far higher than the risk of faulty adoption”. Dube believes it is imperative everyone is prepared for the future of AI. It is the way all our systems are heading. And while it is difficult for many to really imagine how this might work in practice, it is gradually taking effect through every walk of life and business. “We have only seen 1% of the transformation so far,” he says. The easiest way to understand Artificial Intelligence is through simple avatars like Siri. And in fact, this phone call came about about because back in October I attended an event around the future of virtual assistants and was very surprised to see that IPsoft was not in attendance. This is because I was extremely impressed by the first iteration of IPsoft’s intelligent assistant, Amelia, when she was released last year. Now the second generation of Amelia has gone live – with a lot of support from Gartner – and so I figured it was time to catch-up with Dube who has served as the President and CEO since its inception in 1998. Speaking to him over the phone, you can tell he used to be an Assistant Professor. When I ask how come he wasn’t involved in the virtual assistants’ conference, he ignores the question and leaps instead into an argument about how “VPAs [virtual personal assistants] are a dime dozen” and while these are “great for secretarial and admin tasks” they have severe limitations. “There is a big difference between a knowledge worker and an admin assistant,” he says. These everyday helpers are not the true face of Artificial Intelligence. This is a lofty big picture goal, but then, this is the sort of chap Chetan Dube is. And IPsoft’s virtual assistant Amelia certainly seems to embody all the top-line thinking that was discussed at the virtual assistants’ conference by any number of different vendors and experts. At some point within the next 12 months – the timings are sketchy – Dube pans to gather a range of analysts and journalists together on a stage to ask Amelia questions and see if she can pass the Turing test. “Amelia is modelled after a real person,” says Dube who adds that he and his team are “blurring the boundaries between man and machines”. Amelia is based on three parts, says Dube: enhanced memory, contextual comprehension and emotional responsiveness. “For machines to rival humans they need to have an emotional response,” he says. All this is well and good, but it is worth pointing out that there is something vaguely creepy about Amelia 2.0 and, in fact, any realistic humanoid machine or avatar. Stephanie Lay, a researcher with the Open University, who has been studying the uncanny valley since 2006, shared some interesting views on this phenomenon over the Summer. In her opinion it is the ‘nearly but not quite’ aspect of avatars that make them so eerie. Yet this is only a tiny fraction of the big picture not entirely relevant to the massive potential in everyday AI. And when it comes to a company like IPsoft the real question may be: how can it hope to compete with giants like Nuance or even Xerox, which have clients across the spectrum who will buy additional services that they can develop in huge R&D facilities? “We’re committed to advancing expert systems,” he concludes. Is 2014 the year of Artificial Intelligence? We might have been a bit premature here, but the insight and analysis remains current. This PDF includes interviews with a number of experts in the field. Are ‘mind reading’ apps good or bad? This report includes expert and analyst opinion to discover how machine learning and Artificial Intelligence might be practically used in the consumer arena.